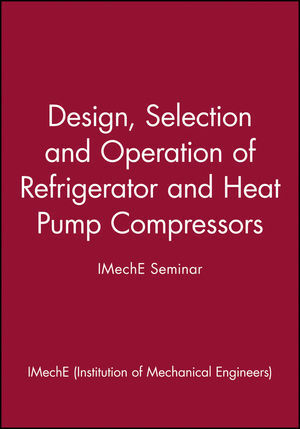 Design, Selection and Operation of Refrigerator and Heat Pump Compressors details the recent changes to refrigerator compressors following legislation regarding the use of chlorofluorocarbons and the close control of cold storage. Presented as a 1998 IMechE seminar, this book covers topics including energy efficiency, capacity control, compression process improvement, refrigerant properties, multi-compressor systems, and more. Recent advances in compressor technology are highlighted with an emphasis on efficiency, providing insight from the forefront of research to guide current and future decision on design and operation.